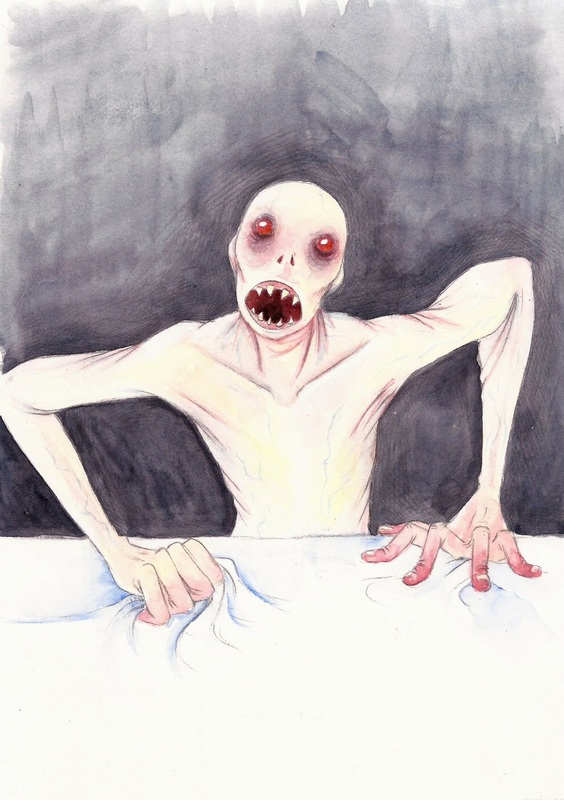 I don’t often have nightmares (in the sense of dreams that have a real feeling of terror rather than just horror imagery) but I do often see monsters in my dreams. 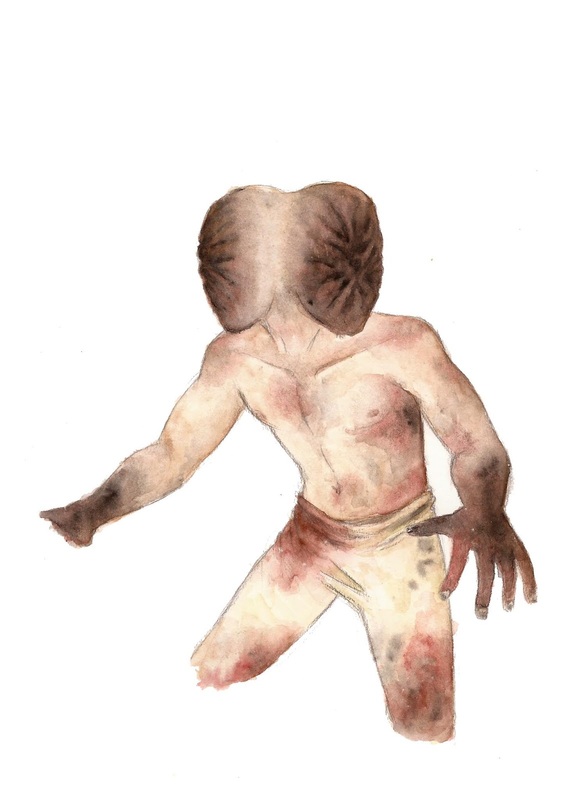 Lately I’ve been doing watercolour sketches of some of the ones I remember, with a vague notion of using them for something later. 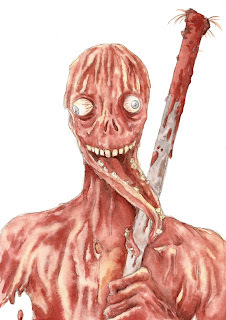 The Split-Faced Man - he didn't seem hostile, but he was covered in old blood. 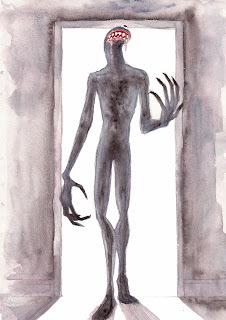 The Man in the Doorway - he was impossibly tall. 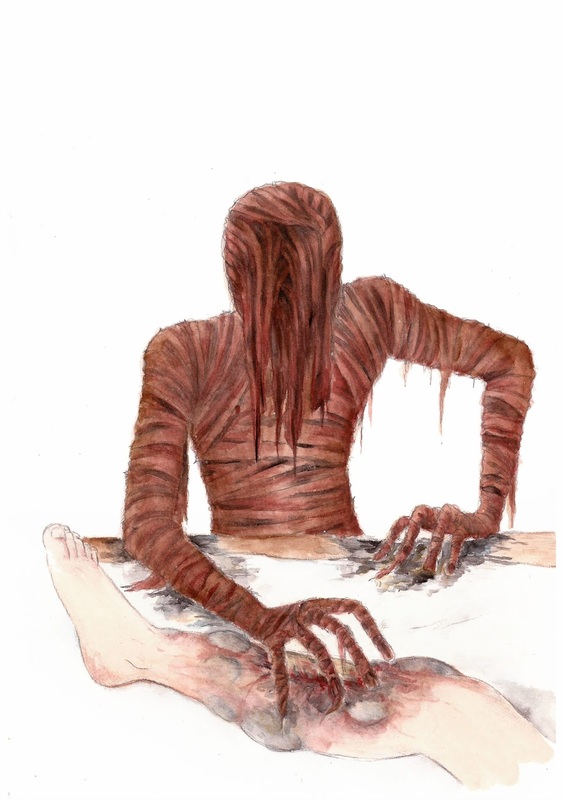 The Rag Men - these were made of blood-soaked bandages and everything they touched rotted away. The Maggot Men - there were many of these all crawling around far below me, they had bulbous eyes and thin, loose skin. The Skinless Man - he broke his own jaw to prove we couldn't hurt him, there was no way to escape. 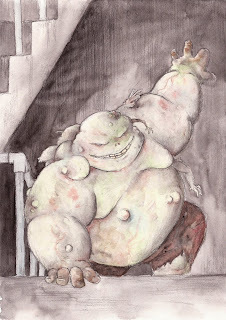 The Obese Demon - he was covered in tumours and extra limbs, he was slow but unstoppable. In related news, I think I’ve finally got the hang of wet-on-wet watercolour painting. UPDATE: Two more which aren't really monsters, but I decided the imagery was close enough to go in the set since I've had some requests for a sketchbook of these. These two are both from the same dream. 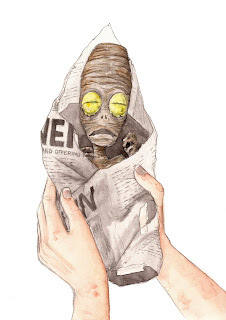 The 'baby' was found wrapped in newspaper, and you had to stay out of the searchlights.